No matter how you sell your home, an open house can be the perfect platform to attract buyers. If your house does not look as appealing as possible, you may find that buyers lose interest. By following these tips for holding an open house, you can have a better chance of selling your home. The front of your home will be the first thing buyers see. First impressions can be critical, so the importance of creating curb appeal cannot be stressed enough. A well-maintained lawn that is lush green, with properly tended flower beds and pruned bushes, can impress home buyers. Additionally, consider giving your front door and other accents a fresh coat of paint to reinforce the notion that your home is lovingly cared for. If your home is showing other forms of wear and tear, like cracked concrete or a battered mailbox, then it would be prudent to replace and repair them before the open house. As a final touch, it might be a good idea to make additional decorative choices. You could add lighting along walkways with solar fixtures, replace your house number, or simply buy a new welcome mat. These little additions can add up to make your home stand out to a buyer. Light can dramatically alter how your home appears. The brighter the rooms and hallways, the more modern and open your home can seem. Lamps are an effective way to give the inside of your home extra dazzle. For overhead lighting, consider multi-bulb fixtures that are maximum wattage. When it comes to enhancing the ambience of rooms, think about adding pendant fixtures in dining areas or in places where there is an absence of prominent lighting. You might complement the artificial light with colorful decorations, such as bowls of fruit and fresh flowers. Come the day of your open house, make sure that all of your home's curtains are open and that lights are switched on for maximum effect. A clean home can make us feel good, but it may also enhance your house's appeal. The first step is to declutter. This is a great way, as well, to make your home appear more neutral and spacious. Remove personal items, like photographs and memorabilia, and consider cutting back on the number of appliances. Place belongings in storage if necessary to hide them from view. Survey your home and look for evidence of fingerprints and dust. Pay attention to the minor details, like polishing shiny surfaces and ensuring all fabrics, such as towels, are immaculate. Next, you can bake something delicious, like cookies. Not only will the scent of freshly baked cookies make your home smell nice, but it may help further your home's welcoming atmosphere. Holding an open house is the perfect opportunity to freshen your home. Adding a new coat of paint can be an effective way to make your home appear modern and clean, which can help set a positive tone for an open house. Choose neutral colors that are warm and bright. Our floors can also leave a big impression on buyers, especially if buyers have to step on damaged carpets or hardwood. Prices can vary when it comes to flooring, but the costs can be offset by the potential rewards. Unreliable fixtures and evidence of overuse or disrepair, such as cracking, can also become hurt your selling effort. Find ways to address any issues to ensure your open house leaves a positive lasting impression. It may seem like a lot of work to properly host an open house, but it will be worth it in the end. 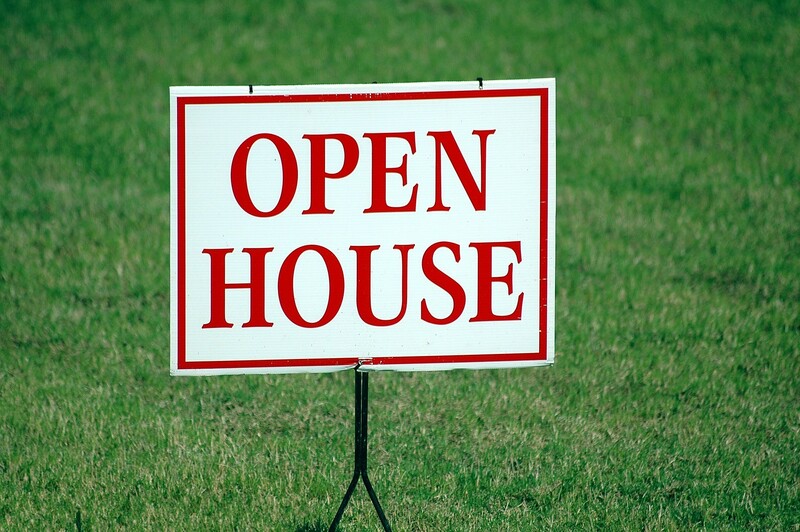 Open houses can be one of the most effective ways to advertise and sell your property. A well-staged home which focuses on curb appeal may be just what you need.